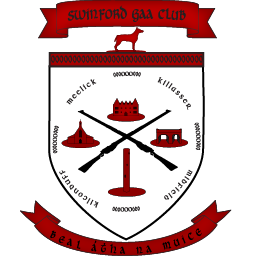 Swinford GAA Club are launching their club draw for 2013.The annual subscription has been reduced from €300 to €150 as the club now finds itself in a more stable financial position. We are most grateful to all subscribers of the last two years who assisted the club when it was really needed. We hope you would all agree that you are getting value for money if you choose to become a subscriber to the Club Draw for 2013. Swinford GAA club would also like to point out that been a subscriber to this draw is the only way of guaranteeing an entitlement to purchase an All-Ireland ticket and priority will be given to subscribers should Mayo reach the final again in 2013. Please contact Vincent at 087 2619442 or Michael at 087 6837564 if you are interested in becoming a subscriber.